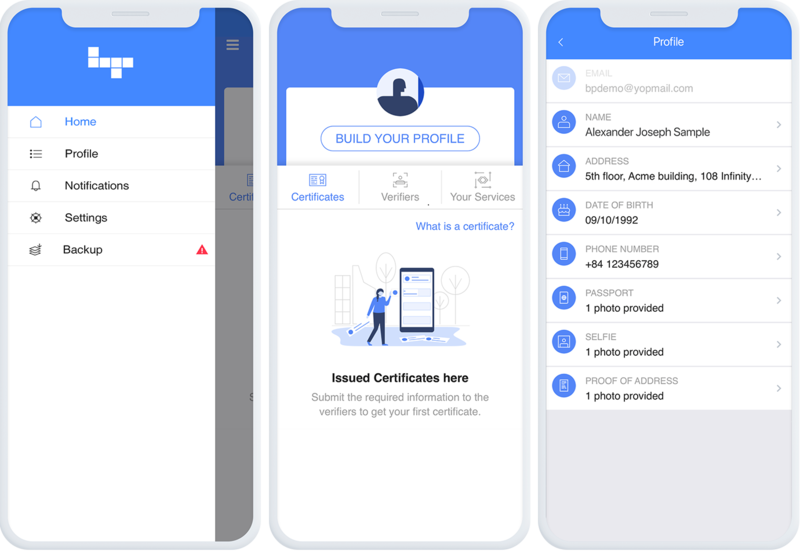 A comprehensive guide to setting up your Blockpass profile and getting verified. Getting started is easy, simply select ‘Build your profile’ on the home screen, and start by entering your information. You can then proceed to upload your passport and proof of address for verification. Place your passport clearly in front of the scanner, being sure not to pick up a reflection on the surface. You can then proceed to take a selfie with your passport. 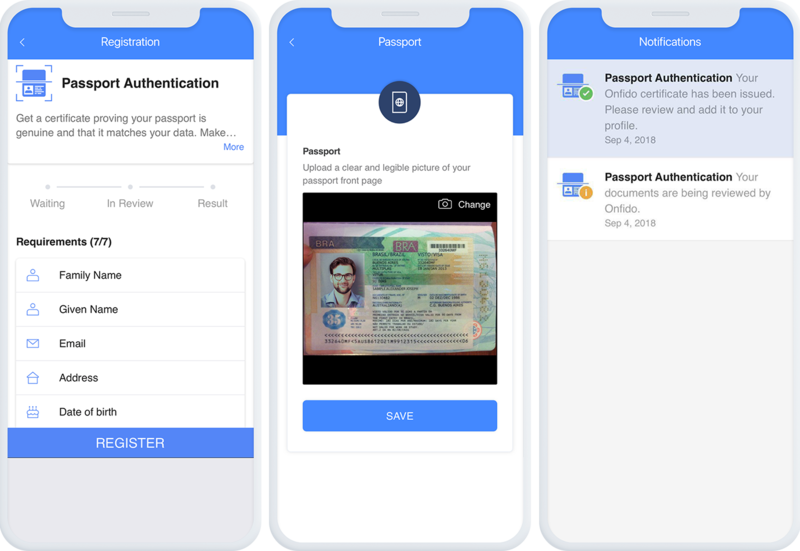 When you are comfortable that you have taken a clear photo of your passport, and your information is correct, return to the home screen of your app. Select ‘Verifiers’ from the center console. You can start by completing Passport Authentication with Onfido. Complete the registration. 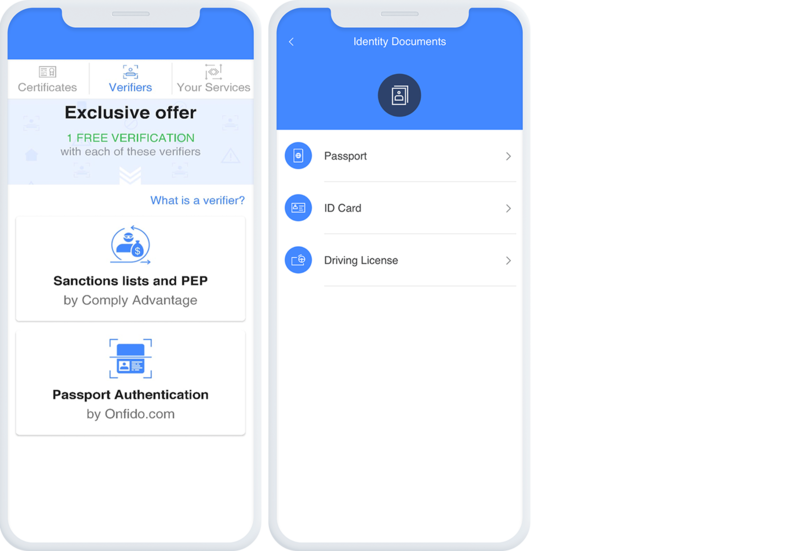 You will receive a notification in the app to confirm you documents are under review, and again when the verification has been completed. 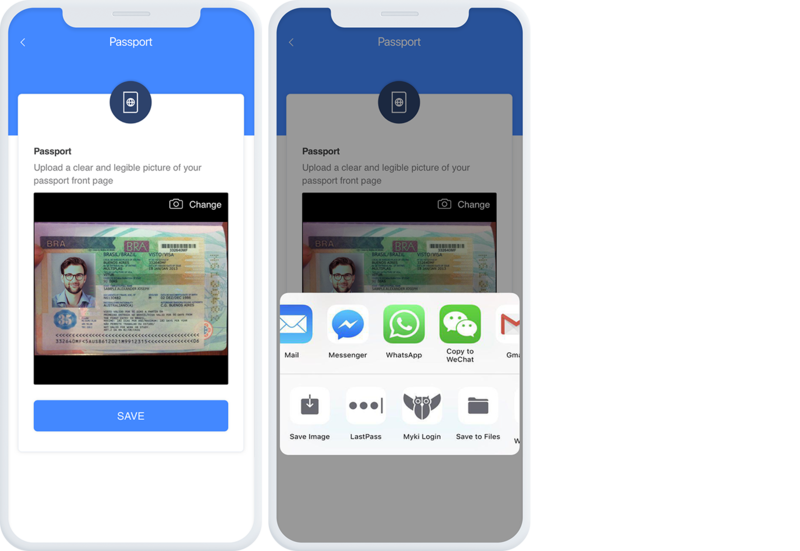 You will then see Passport Authentication certificate appear on your home screen. 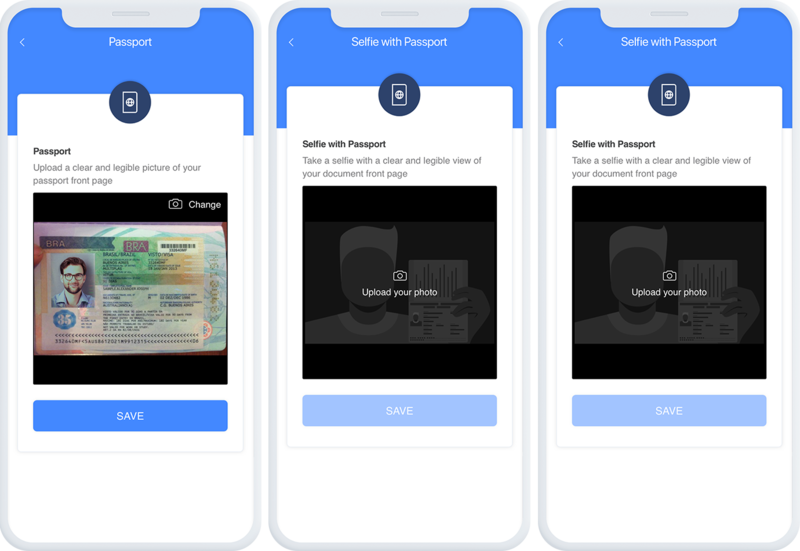 To securely store and manage other identity documentation, simply continue to build out your profile and upload images. Securely store and manage these documents in one location, on your mobile phone, and share with ease as needed. 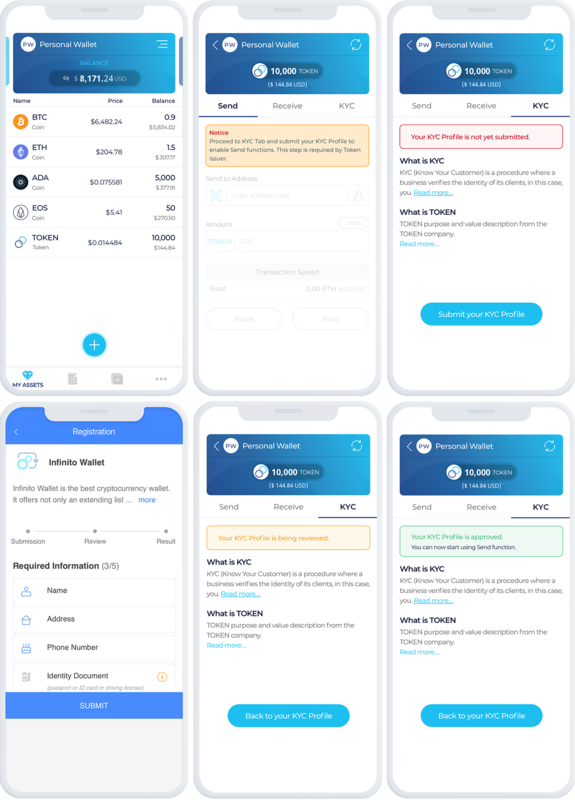 When you are on your completing your merchant service onboarding, in the example below with our partner Ethfinex, scan the QR code using the scanner that can be found in the top right of the homescreen. Confirm you are happy to provide the information required and click submit. You will receive a notification from the service once your KYC has been approved. 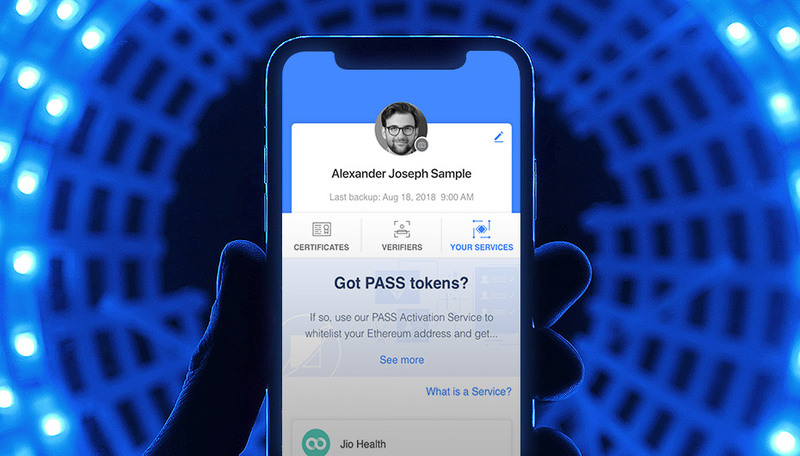 When prompted in the Infinito app, submit your Blockpass verified identity in one click. It’s that simple. If you have not yet completed KYC with Infinito you will be prompted to do so. 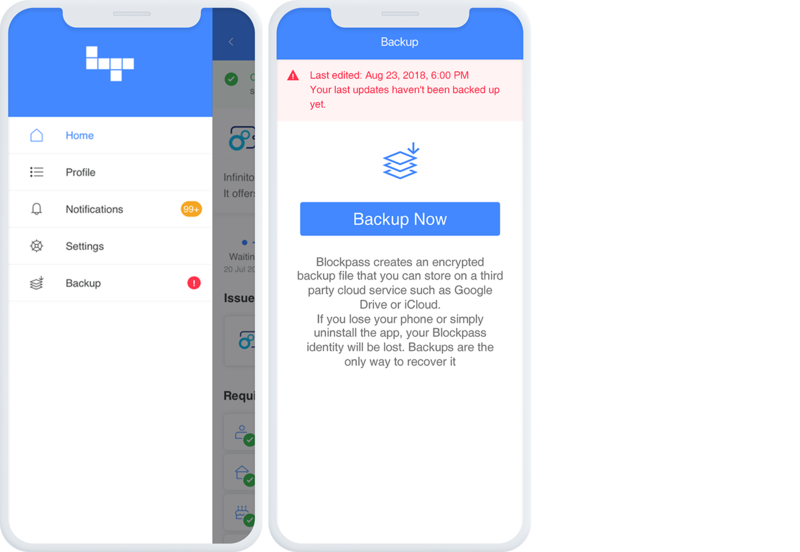 As we never hold any of your personal information, if you lose your phone without a back up, you’ll have to create your identity all over again. To avoid having to create a new identity, simply back up your profile by email. We recommend you save this ID packet to an external, disconnected hard drive for extra protection.